Unpleasant odor in your Yarrow Point home or business? Continental Carpet Care, Inc. has been deodorizing Yarrow Point carpets and upholstery for more than 30 years. 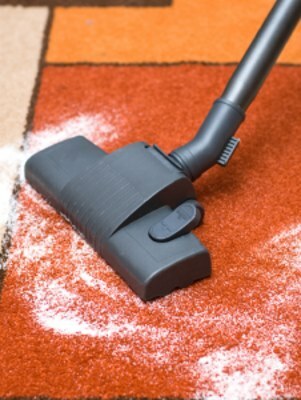 Our deodorizing technicians will professionally clean your carpet or area rug, then apply a deodorizing agent that will completely remove any offensive odors. When you need professional cleaning and deodorizing, you don't want to wait. Call King County's leading deodorizing company, Continental Carpet Care, Inc., for a fast response time and expert service: (425) 559-9995. We offer expert odor removal for residential and commercial customers in Yarrow Point, Washington. Don't mask the odor. Eliminate it. Lighting a candle or spraying room freshener might seem like a good idea to cover up an unpleasant smell. But that's all it does. To completely eliminate unpleasant odors from your Yarrow Point carpet and upholstery, call the deodorizing professionals at Continental Carpet Care, Inc.: (425) 559-9995. We will pretreat the problem area, then clean the entire surface with our highly effective hot water extraction vacuums. Once your carpeting, area rug, upholstery, or mattress is clean, our deodorizing technician will apply a pleasant smelling deodorizer that digests the organic odor at its source. You're left with a fresh smelling carpet that looks like it was just installed. When you need to get rid of an odor from your carpet or furniture, call Yarrow Point's odor removal professionals: (425) 559-9995. Cigarette smoke, toilet training gone wrong, burnt food, sick children, wet dog. Once an unpleasant odor has been absorbed into your Yarrow Point carpeting, furniture, or upholstery, it's nearly impossible to get rid of it. Our highly effective deodorizers work quickly to eliminate nasty smells from your Yarrow Point, Washington carpet, furniture, or area rugs by releasing an enzyme that absorbs odors at their source. Continental Carpet Care, Inc. has been in the carpet and upholstery cleaning business since 1989, serving customers in Yarrow Point, Washington. Call (425) 559-9995 today to find out how quickly Continental Carpet Care, Inc. can get rid of your King County unpleasant odor.